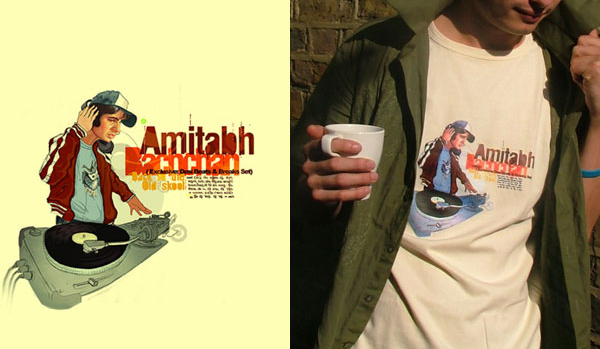 Saw this t-shirt designed by the very talented Kunal Anand from the U.K. It features the inimitable Amitabh Bachchan as a DJ. Pretty damn sweet.